The Aston Martin Vantage GT3, which will debut at next month’s Geneva motor show, will be the most overtly-styled road-going model from the luxury sports car maker. Debuting alongside the track-only Vulcan, the Aston Martin Vantage GT3 is said to be inspired by the company’s Vantage GT3 race car. Under the bonnet is a version of Aston Martin’s 6.0-litre V12 that the company hopes will deliver 441kW (600PS). Power is sent to the rear wheels via a seven-speed automated manual transmission and a limited-slip differential. 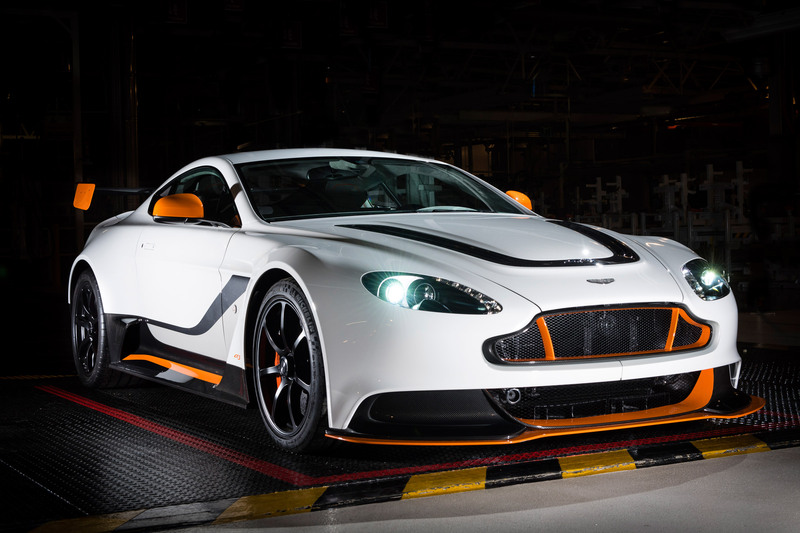 This beauty right here is the special edition Aston Martin Vantage GT3. Only 100 of these track-focused super Vantages, each housing a reworked 6.0-liter V12 with 592 horsepower, will be built. As the name and that enormous rear wing indicate, this model is a road version of the GT3 Vantage racer. Nearly everything on the car, inside and out, has been altered. Beyond the tweaked engine, the car features magnesium inlet manifolds, a magnesium torque tube, and a titanium exhaust system, helping keep the weight down. Additional weight savings come from a massive use of carbon fiber (rear wing, front splitter, trunk, door casings, roof, and front wings). The changes shaved a total of 220 pounds off the original V12 Vantage S. Combine that with a lower and wider stance, and this car is going to hug a corner like you hug your momma.